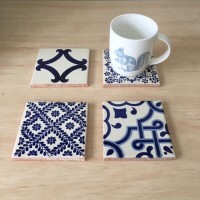 Handmade and hand painted tile drink coasters from Mexico and Spain. Feel and see the love! 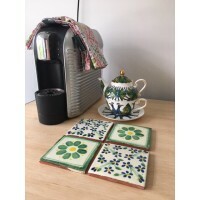 A set of 4 authentic handmade tile drink coasters will set the scene for your special morning tea break or afternoon drinks. These coasters have felt lining to ensure they glide sweetly across your table surfaces.